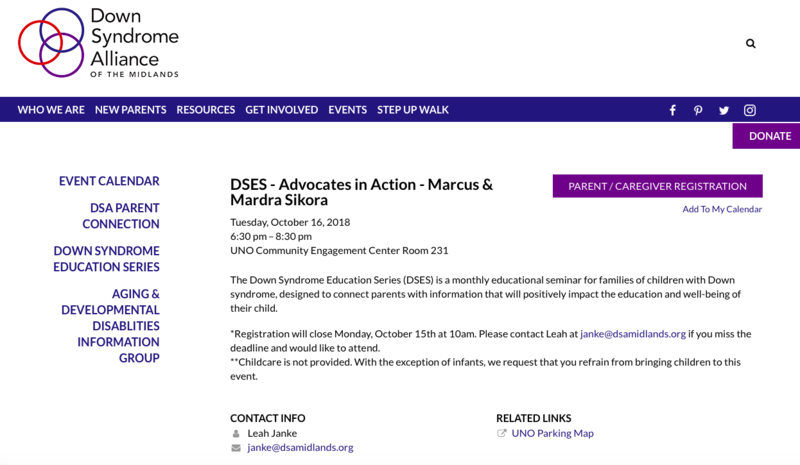 Marcus and I are excited to present this session close to home with the Down Syndrome Alliance of the Midlands! The most powerful messages of advocacy come from personal stories. This presentation includes several examples of advocates from around the world teaching, sharing, and entertaining. With the guidance of Marcus, we will discuss the key elements that make a compelling story for you to include in your own advocacy. Remember, stories aren’t just for authors and artists! Every job resume’ and interview tells a story, every “One-Pager” introduction presented to teachers and professionals contains a story, and your social networks are full of micro-stories shared every day. Mardra and Marcus will give you tips on choosing your message to make the greatest impact.